I took some weeks off to fully enjoy life, and by life I mean real life, not Instagram life (ok, I cheated and posted a few pictures, but how can I resist drunken Prada boy? ), or Facebook life, not even blog life, which in my case is pretty much real life with a bit of Photoshop here and there. As painful and unimaginative as living sans a computer might sound, it was quite nice and inspiring. Nice and inspiring until Fashion Week, Fashion Night Out, Independent Fashion Bloggers Conference, Obama's speech, Madonna's concert, etc. came and ruined my new found mental Zen. To hell with stopping and smelling of damn roses-- this is New York after all, if I wanted peace and clarity I would've moved elsewhere. So here comes the Guayabeitor again fully charged and ready to take over. Be afraid! Be very afraid! So let me give you a quick review of my last week. 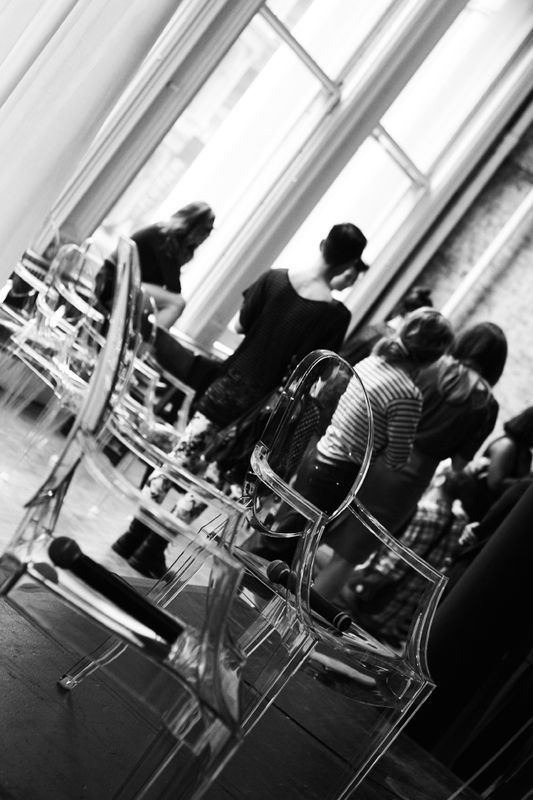 I attended a 2-day event called the Independent Fashion Bloggers Conference. I don't consider myself independent (I fully depend on my husband's huevos con salchicha y arepa), fashion is still a word I find very difficult to define (I've been sent to HR twice in the past month due to non-compliance with the office attire policy), and the only thing I can call myself --thanks to the Education department of the State of New York is an architect, blogger is something I still haven't earned, and yet here there I was in line next to other 400+ girls (and a few very brave boys) waiting to see what this conference had to offer. It was very educational, but the best part of it was meeting great and very talented people. 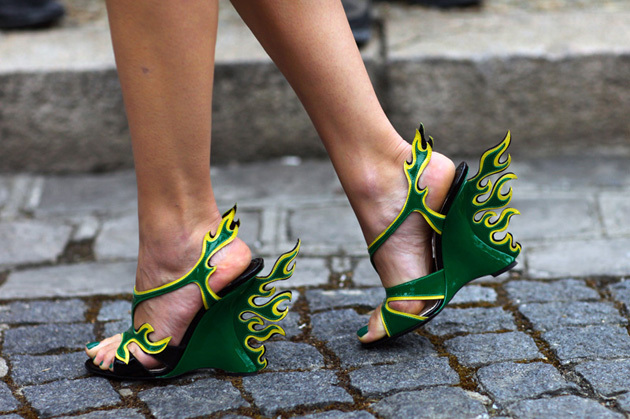 People who like me, get super excited when exposed to a pair of rarely-seen-in-nature Prada Flame shoes. I also used my time off to design a strategy to more effectively crash the shows of Fashion Week. I will test my plan this coming Sunday. Stay tuned. If caught, I promise to report from the police station, as long as there's free WiFi available. That's all for now my beautiful readers. How about you? 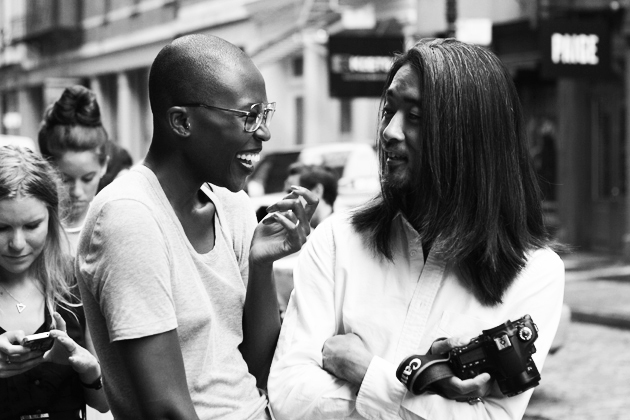 How are you managing to live a life away from the seductive arms of social media? Damn you to hell Zuckerberg! Unknown pair of great legs. All other pictures by me. Dragging Alcibiades to one of these events can only be called torture. 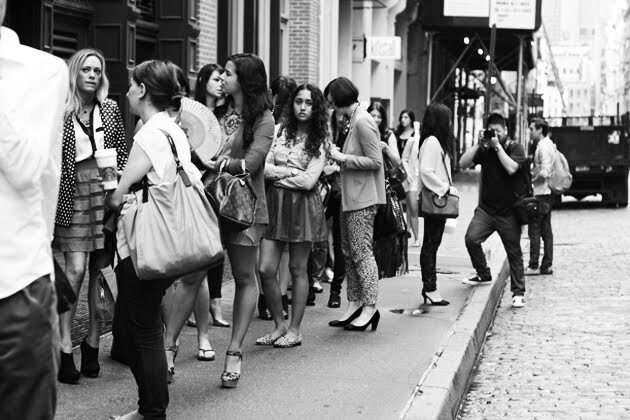 Hasta la vista Fashion Week!